Posted October 17th, 2016 & filed under Competition. 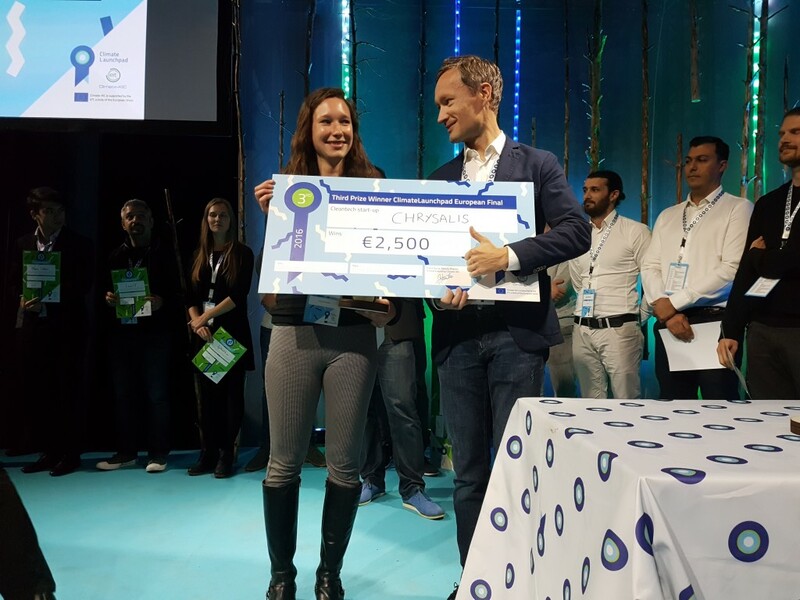 The competition was tough at the the 2016 ClimateLaunchpad Finals, yet three winners emerged. 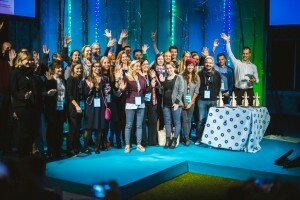 A total of 87 teams from 30 different European countries took part in the 2016 ClimateLaunchpad competition pitching their cleantech business ideas. On the 7 and 8 of October the teams pitched their ideas to a renowned international jury and were judged on their feasibility, scalability, job creation, climate impact and quality of their pitch. 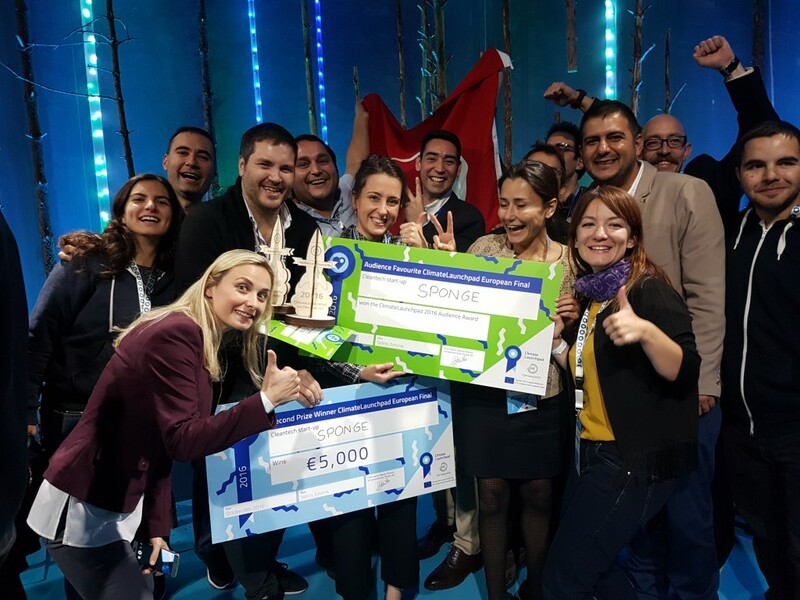 The jury selected the three best teams to win cash prizes plus selecting the top 10 teams to join the prestigious Climate-KIC Accelerator. The audience also chose a favourite to win the Audience Award. 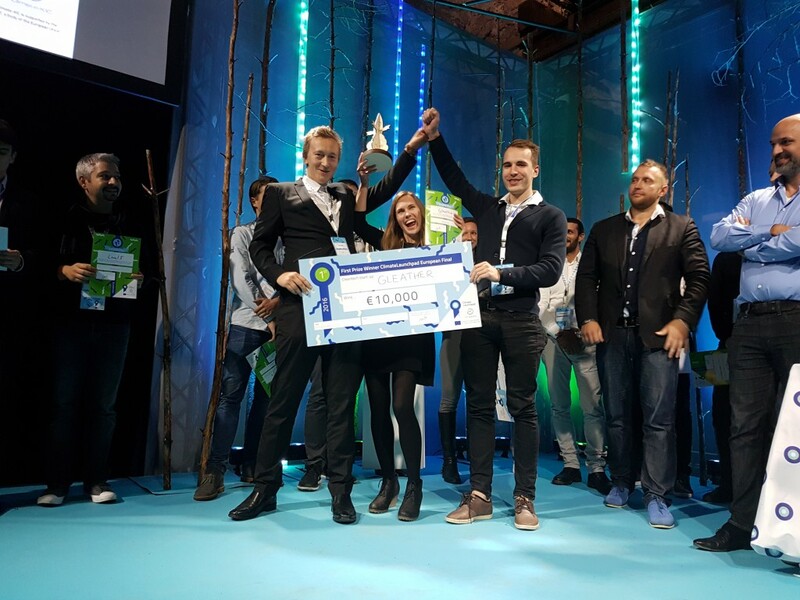 So who were the winners of the 2016 ClimateLaunchpad? The production of sustainable biofuels suffers from high cost. 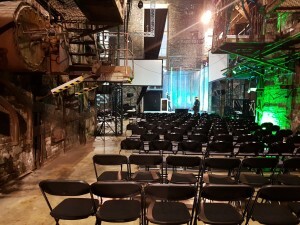 Chrysalis have developed a process that is low cost and converts metal contaminated waste wood into several products including biogas, bio-ethanol and other bio-based materials. Sponge is a super absorbent carbon based material that repels water and absorbs any oil-based contaminant. With its affordably scalable structure, Sponge couples highly efficient oil cleanup methods with a security system for oil rigs. With its flexible form and other characteristics such as anti-inflammability and ferromagnetism, Sponge offers many potential future applications in fields such as construction, textiles, consumer goods, aerospace and health. You might have heard about Sponge before. Last year they went viral with their Sponge Suit – a bikini using their sponge technology to absorb sea pollution. The leather industry causes serious pollution and health risks by producing 5 billion kg of toxic chemical waste and 340 billion litres of wastewater every year. Gleather have developed a technology that produces a leather-like textile that is made from gelatin. Compared to leather production, fabricating Gleather requires 3 times less raw material. Additionally, it is possible to adjust the characteristics of Gleather, including its texture and strength, to customer’s needs. The fabric comes on rolls, simplifying design and cutting process, which in return increases profitability of fashion brands. Producing Gleather on industrial scale could have significant positive impact on the environment. "Tension rising. 90 teams pitching. 4 awards ready for a new owner."